@stinkpiecebot is a Twitter bot created by @wwickey. Yes, this bot is as dumb as it sounds. 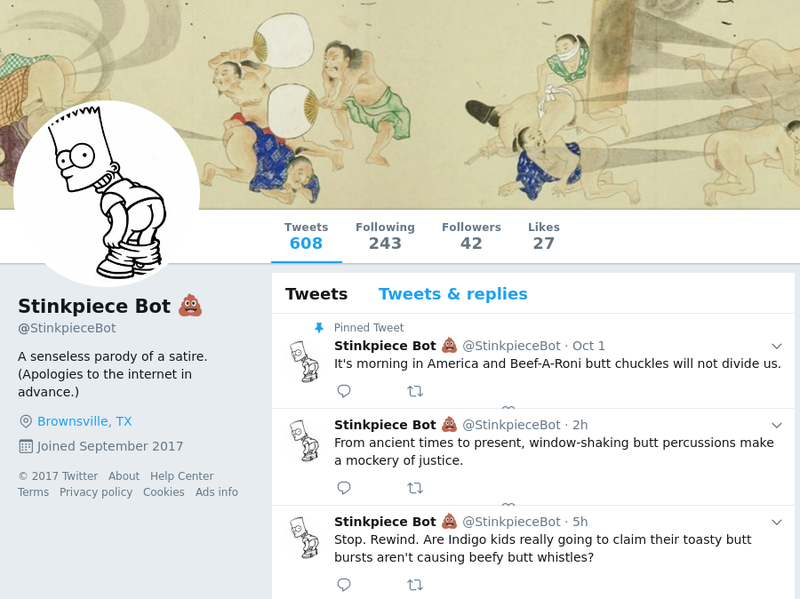 @stinkpiecebot is like the popular @thinkpiecebot… but with fart jokes — pop culture thinkpieces mashed up with potty humor. Off-color, but safe for work. Tweets every 3 hours.